Some individuals have mistaken this web site for the official DNC web site. It could have something to do with the image of the president reaching out to touch the sun as if he were the messiah. 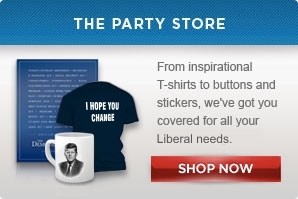 Another reason people may have mistaken this site for the DNC, is The Party Store, with its JFK coffee mug and "I HOPE YOU CHANGE" tee shirt, not "Hope and Change" but "I HOPE YOU CHANGE". This could be confusing. Laura Hutchinson investigative reporter for NBC 22 news actually asked, how much revenue did the sale of tee shirts generate. Unfortunately there are no tee shirts and there is no Party Store. Laura should have done a little investigating before asking. Maybe all the confusion is over the featured articles, all stories are conservative in nature and content, this could be misleading to the average liberal. Here are a few of the confusing Articles featured on this web site. Post-'60s liberals, with the president as their standard bearer, seek to make a virtue of decline. Millions of people have come here in the hope that in America, you can make it if you try. In recent years, moonshine has given way to hopes for new biofuels. 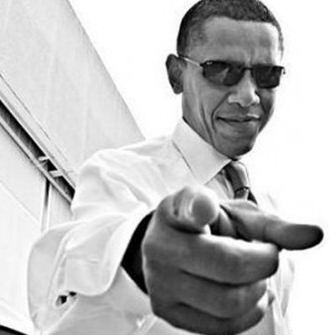 Hillary would trounce Obama by a 20-percentage-point margin in a head-to-head race. Keeping America up to date with the latest political trends and democratic policies. 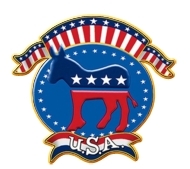 Moving America Forward is Americas #1 Democratic Information web site. With your support we can continue to educate Americans who are ready for change and instruct them as to make it a reality. We have a lot of work to do. But with your help, we can continue moving America forward and to fulfill the promise of change. Join us today. During the hour plus interview with Brian Ross, he floated the question, what would you do if you received a 10,000 dollar donation, For which I replied the thought of anyone giving that amount of money is absurd. After the interview ended in a less than polite manner. I checked the email to see if anyone had made a donation that day. and to my surprise there was not one but four donations made that day. Four donations in one day, all within a half an hour of each other, on the same day abc news called for an interview. Brian Ross on behalf of ABC News makes four donations to a Political Activist web site. Upon discovery, these donations were promptly refunded. abc news was not notified. They went forward with there story under the assumption that Moving America Forward kept there donations. Isn't that amazing four donations totaling $10,275.00 all within a half hour. In the world Brian Ross lives in, this level of Reporter Activism is normal.